A. If you are booking for the Classic Inca Trail of 3, 4, 5 and 7 days, with SAM Travel Peru, please click on the Inca Trail Availability. Check your start date before booking to make sure the government still has permits available. You only need a permit for your start date (not each day trekking) and we will secure the permit on your behalf. 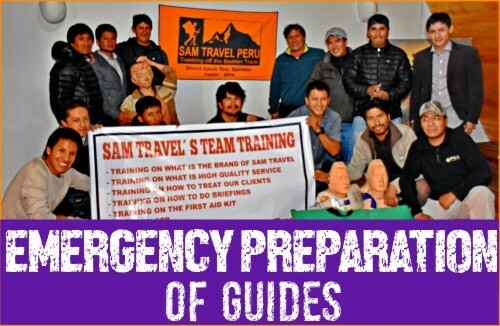 If you are a single trekker, please check with us at info@samtravelperu.com for availability of a group. B. If you are booking an alternative trek or tour package (note no permits are need for alternative treks), please contact us at info@samtravelperu.com to check availability. We can then share with you all of the fantastic options available. A. For treks and tours without hotels, the deposit is $200 + $11 service fee = $211 per person. B. For all tours that include hotels, the deposit is $300 + $16 service fee = $316 per person. A. When we have received your booking form and your deposit, we will do a final confirmation and send you a travel invoice. B. Please be sure to review your confirmation and travel invoice for accuracy. If you are booking the Inca Trail 1,2,4 or 5 days (Only), we need you to send a copy of your passport to SAM Travel. To protect your travel investment, SAM Travel strongly recommends you purchase travel insurance for your tour or trek before leaving home. This is a great way to protect yourself in regards to airline cancellations or delays, lost luggage, accidents, sickness, unforeseen weather conditions and strikes. SAM Travel Peru will gladly provide an insurance letter and other documentation for your insurance company.Here are links of review of the best international travel insurance providers worldwide. Notification of cancellation must always be made in writing by the person that made the booking and paid the deposit to info@samtravelperu.com. Our policy for our deposits for our treks and tours are that they are 100% non-refundable. There are no exceptions due to the fact that SAM Travel Peru expends a great deal of expense purchasing permits, entrance tickets, and making deposits for reservations or services, most of which are non-changeable, non-transferable, and non-refundable by government regulation. If you book a tour or trek with a hotel(s) and you cancel your hotel less than 30 days before your tour or trek starts, 100% of the price of the hotel(s) is still due and payable. 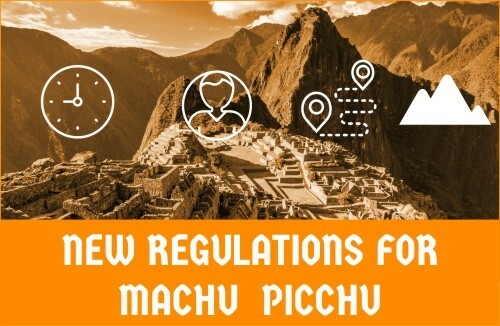 SAM Travel per Peruvian Hotel policy must pay all hotels 30 days in advance and all fees are non-refundable. If you cancel eight weeks or more before the date of your departure: Cancellation fees are equal to the amount of your deposit. If you cancel eight weeks to 4 weeks before the date of your departure: 60 percent of the total tour or trek price is due. If you cancel four weeks to five days before the date of your departure: 80 percent of the total tour or trek price is due. If you cancel five days to 48 hours before the date of your departure: 90 percent of the total tour or trek price is due. If you cancel less than 48 hours before the date of your departure: 100 percent of the total tour or trek price is due.